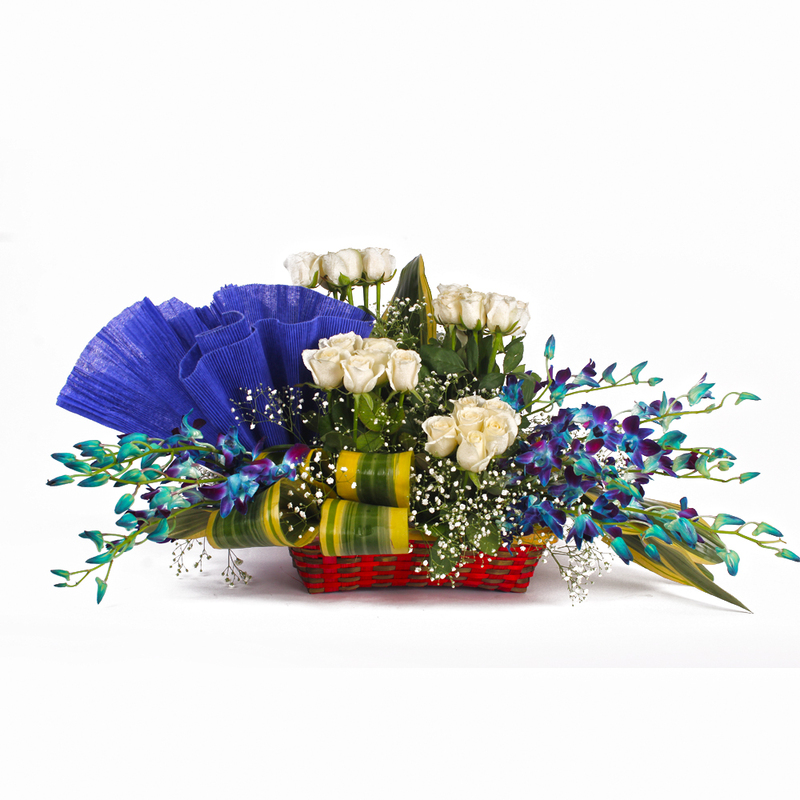 Product Consist : 20 White Roses and 10 Orchids with green and white fillers arranged in Basket. 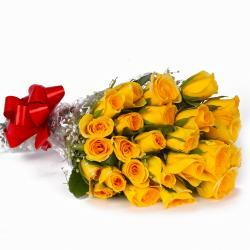 Present stunning exotic flowers arranged to your dear ones in India through Gift Across India. 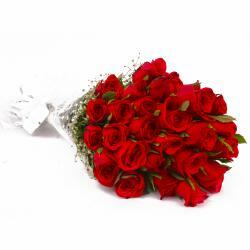 Bewilder your loved ones with this exotic orchids with white roses in basket as your exclusive gift with other Gifts to India. 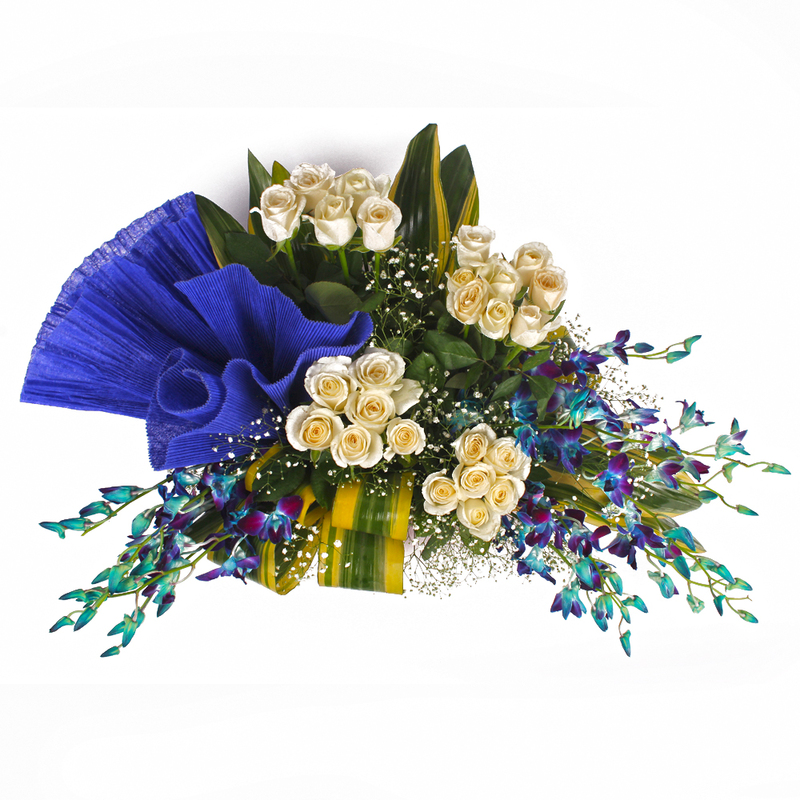 The white roses and orchids arranged very artistically in basket with the greens and gypsophila make this flower arranged more exotic and beautiful. 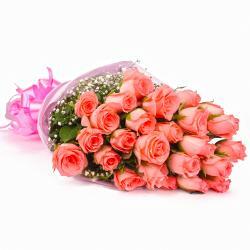 This amazing basket arranged you can gifted at any occasion like Anniversary, Diwali,Friendship Day, Diwali, Onam, Parents Day, Boss Day or as Corporate Gifting. 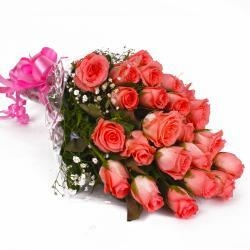 Product Contains : 20 White Roses and 10 Orchids with green and white fillers arranged in Basket.